Google chrome is one of the most used web browser. It has been steadily gaining popularity since its launch. Its simplicity and user friendly interface has made it the choice of most of the desktops and laptops. Chrome has a ton of features which could tremendously upgrade the browsing productivity if you can somehow managed to think about them. This post intend to uncover exactly those features. Here we are showcasing some of the features, might be something you already know, but as you read on, you are sure to bump into amazing Google chrome features that you were not aware of, and that’s what make this post worth going through. 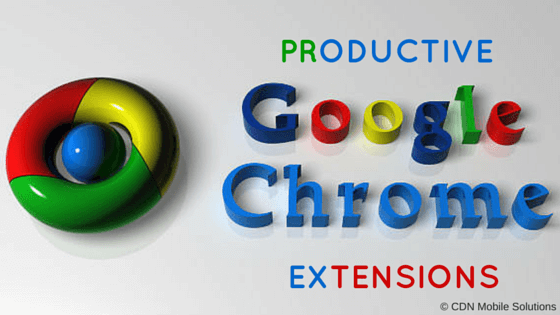 We are showing some great Google chrome extensions that increase your productivity. You have only to optimize your chrome extensions and this will surely make things easier for you. Check them out here!! 1) Pocket: While you are browsing something and you find some useful content that you want to refer later, in that case, you don’t have to create a bookmark or copy the web address somewhere. Just add the pocket extension in your chrome and you can access your saved URL from other PCs also. The pocket extension also contains free iOS and Android apps so you can read the clipped data on your smart-phone or on tablet also. 2) Reopen Closed Tabs: If you are browsing something and you close something by accident, in that case, the Google chrome shortcut ctrl + shift + T will help you. This command will reopen your most recent tab which was accidentally closed by you. Mac users can take advantage of this amazing shortcut by follow this command ‘Cmd + Shift + T’. 3) Chrome Remote Desktop: With using chrome remote desktop extension, you will be able to access your computer and its content remotely. If you forgot to bring an important file at your work place, don’t worry, you can access your home’s system from your workplace, if you are connected to world wide web. You have to only login into chrome remote extension from your workplace and you will be able to access all files and its content. 4) Grammarly: ‘Content is a king’, uniqueness is the most important funda for Google. Google hates grammatical mistakes and duplicate content. In that case, you can take advantage of this amazing extension of chrome ‘Grammarly’. This will resolve all your grammatical mistakes and it will also give you suggestions for your blog, article or whatever content you gonna share. 5) One Tab: It is an another useful extension of Google chrome. If you are a multitasking user and need to open many tabs at the moment and due to which, your system memory become full and the system stops responding, in that case the ‘One Tab’ extension of Google chrome will help you. The best part of this extension is that, it will reduce your system memory and arrange all your open tabs into a single tab. It is like the table of content for all your tabs, that collects a brief description of all tabs. 6) About:Memory: About:Memory is an another awesome shortcut that will give detailed insights into how different processes in the browser are consuming memory. You have to just type about:memory in the Google chrome address bar and hit enter. 7) Application Shortcuts: You could create shortcuts of the most using application by you. This option could be used for sites that you use frequently and need them all time open. Just go to the menu of Google chrome and select more tools options, now you will see some options in the tool. Just go through the first option i.e create application shortcuts and your most using standalone web-page’s shortcut is created. Now you can directly access your web-page application from your desktop. Hope you discovered something new about Google chrome today. I am sure there are lot of other cool and important features which i might have missed. So if you also know some important unknown shortcuts of Google chrome. Start commenting right now!! CDN Software Solutions will be back again with another cool facts about something else. Till then stay in touch with us. Why Whatsapp Blocking Links of Telegram..?? Is Facebook Trying to Become a Kind of Search Engine?